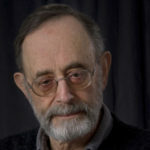 Arnold Berleant is Professor of Philosophy (Emeritus) at Long Island University (USA) and the founding editor of the on-line journal, Contemporary Aesthetics. He is the author of numerous articles, as well as eight books and three edited volumes. Berleant’s work ranges over aesthetics, especially environmental aesthetics, the arts, ethics, and social philosophy. He has lectured widely, both nationally and internationally, and has been active in many professional organizations including the International Association of Aesthetics of which he is a founding member and Past President. Does Art have a Spectator? International Association for Aesthetics, 1984- . Member Executive Committee, 1984-1999. American Society for Aesthetics, l962-present. Member, Program Committees for l970, l97l, l972. Program Chairman, l976. Trustee, l972-75, l977-80. Representative to AAAS, l975-78, l978-8l. American Council of Learned Societies, Conference of Secretaries, 1978-1988. Member of Executive Committee, 1985-87. Recording Secretary, 1986. American Association of University Professors, l962- . American Society for Value Inquiry, l970- . Member of Executive Committee from Eastern Division, 1970-l972, l972-l974. American Philosophical Association, Eastern Division, l962-l973, 1985- . Society for the Advancement of American Philosophy, 1975- . Society for Phenomenology and Existential Philosophy, 1982- .